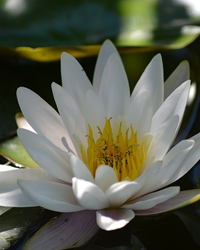 Mrs. Janice Davidson Kepley, age 82 of Franklin, KY, entered into rest Tuesday, June 26, 2018 at 12:57 AM at the Medical Center in Bowling Green, KY. 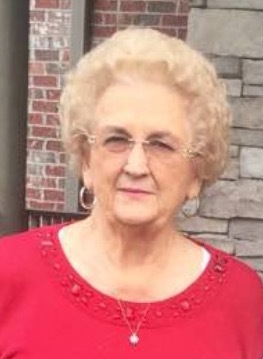 Arrangements are under the direction of Gilbert Funeral Home where services will be held at 1:00 PM Thursday, June 28, 2018 with burial to follow in the Greenlawn Cemetery in Franklin, KY.
Janice was born April 30, 1936 in Simpson Co., KY to the late James Dreon Davidson and the late Mae Belle Akin Davidson. She was preceded in death by her son Richard “Dicky” Kepley. She is survived by her husband Ralph Kepley, 2 children James Walter “Jimmy” Kepley (Brenda) of Portland, TN and Kim Kepley Burd (Doug) of Bowling Green, KY, a sister Elaine Davidson High (Roy) of Gallatin, TN, 4 grandchildren Joshua Kepley, Alex Burd Hammer, Abigail Burd and Annie Burd, 3 great grandchildren Hollis Kepley and Hadlee and Harper Hammer and several nieces and nephews. Mrs. Kepley was a member of the Round Pond Church, Round Pond Homemakers and was an election officer at the Round Pond Precinct for many years. She also was an avid square dancer, dancing with the Strawberry Squares in Portland, TN. Visitation will be from 4:00 PM until 9:00 PM Wednesday, June 27, 2018 and from 6:00 AM until funeral service time on Thursday at Gilbert Funeral Home.